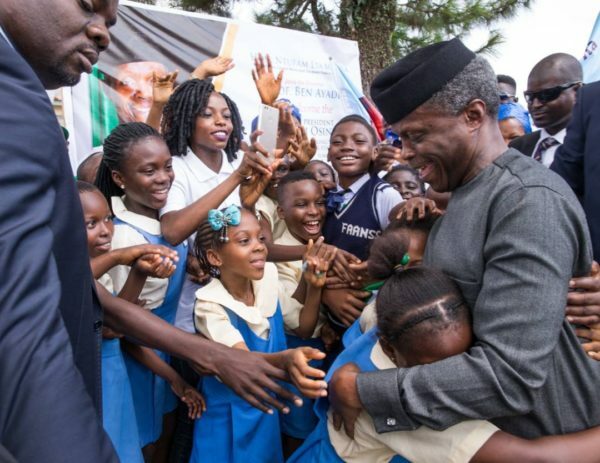 Osinbajo: FG will address the plight of Bakassi people – Royal Times of Nigeria. Prof. Osinbajo stated this while responding to issues raised by stakeholders at the Townhall meeting in Calabar, organized in continuation of the series of engagements with leaders in the Niger Delta region. “But President Buhari strongly believes that while we ruminate over the legal issues we must not allow Nigerian citizens in Ikang and elsewhere to suffer. “The Federal Government will certainly do more and engage more with the displaced in Bakassi. This is our duty and our commitment,’’ he added. Prof.Osinbajo also gave an assurance that the Federal Government “will also thoroughly investigate the issues raised on the relationship between the military, the militants and the people of Bakassi’’, with a view to find a lasting solution to the problem. He said the Buhari administration would not hesitate to support viable programmes and initiatives that would make living better for Nigerians. Prof. Osinbajo further explained that “the Federal Government is certainly interested in Cross River. He mentioned other projects at different stages of execution in the state to include, the Calabar-Ogoja road, Adiabo-Okurikang Erosion Control, Eastern Naval Command Erosion Control Project Phase 1 and NewMap Erosion Control Project at Ikot Nkebre mass slide Erosion site. Prof. Osinbajo also urged the people of the state not to relent in ensuring the unity of the state and country as they continue to set the pace in the tourism and hospitality sector in Nigeria. Before going in for the town hall meeting, Prof. Osinbajo met with owners of small businesses at the ongoing Micro, Small and Medium Enterprises (MSMEs) Clinic after seeing an exhibition of made-in-Nigeria products. The Acting President was accompanied to the forum by Ministers of Petroleum Resources, Ibe Kachukwu, Niger Delta Affairs, Usani Ughuru, the Head of the Civil Service of the Federation, Mrs Winifred Oyo-Ita, the Coordinator of the Amnesty Office, Paul Boroh, Chairman of the NDDC Board, Sen. Ndoma Egba, among other dignitaries.